It seems like just yesterday when we reported on those Scottish school children getting free iPads. Now Apple has new territory in their home state of California with an ambitious new program that could mark a new (digital) chapter in high school education. 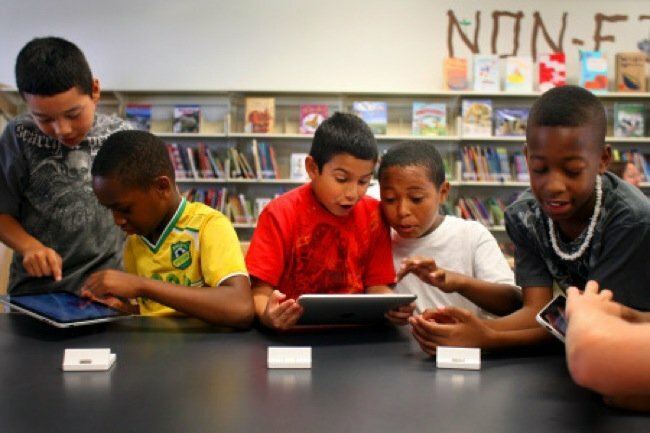 It all starts with a partnership between California Secretary of Education Bonnie Reiss and publishing institution Houghton Mifflin Harcourt to bring iPad’s into four schools. Already dubbed “a seminal moment” by Houghton Mifflin Harcourt VP John Sipe, the distribution of iPad also marks Apple’s most ambitious effort to make waves in educational publishing, which is a multi-billion dollar market. It makes us a wonder: when you’ve got an iPad with all the lessons in it, why bother with a teacher? In fact, if iPad’s work inside the classroom—an idea that’s now being tested—it might be even better suited for home schooling. Then as now, learning this bit of news brings home the realization that our own education circa 1990s sucked in comparison.